signs and symbols presents BAND PRACTICE, a performance and installation by Clara Claus and Melissa Godoy Nieto. The duo will perform their durational drawing ritual on June 4, beginning at 11:00am and continuing through the evening reception. An opening reception will be held from 6:00-8:00pm featuring a live musical intervention by Amedeo Pace. The performance will continue on June 5 from 11am to 8pm. The installation and performance aftermath will be on view through June 9. Clara and Melissa’s first collaboration with signs and symbols, BAND PRACTICE, will inaugurate our monthly performance series. 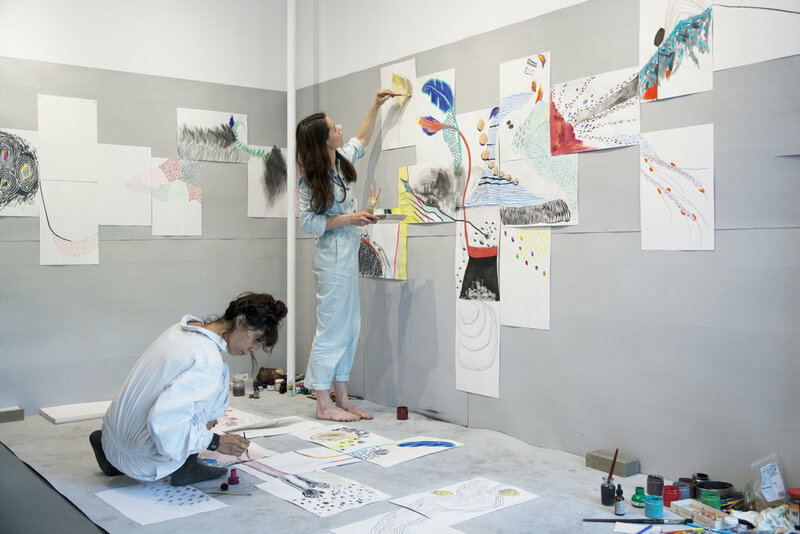 BAND PRACTICE is a live drawing ritual performed by artist duo Clara Claus and Melissa Godoy Nieto. Employing their physicality and architectural surrounding as a backdrop and stage, the two draw together, synchronizing every movement, line and mark with sound as they exploit various mediums of pencils, markers, gouaches, inks, and oil sticks in their collaborative work. As the performance progresses, the paper spreads as a mosaic, the drawing surface expands sheet by sheet building upon and adding to an infinite installation. Clara and Melissa deploy chance encounters as they dialogue through their mark-making practice by adding to each other’s mixed interventions. They absorb each other’s creations, expanding upon them, they move from part to part navigating an introspective voyage. The performative experience is supplemented by a soundtrack created by David Moore, for which he used recordings of sounds produced by the artists while drawing. With captured noises of scribbling and scratching pencils, paper tearing and water droplets from paintbrushes, Moore’s musical composition offers an amplified echo of the drawing tradition. As the pair often collaborate with musicians, this iteration of BAND PRACTICE will additionally feature a live musical intervention by musician Amedeo Pace. Housed at signs and symbols for the first time, BAND PRACTICE is a form in process, a constant state of flux, a live experimentation of action and the creation of new material. Every time the ritual is performed, it acquires and absorbs from its surroundings, weaving in moments and stories into a new narrative, shifting every time with a new air of freshness. clara claus was born in 1985, in Ceret, France, and lives and works between Paris and Brooklyn. Claus graduated from the Cooper Union School of Arts, New York, and Ecole Duperré, Paris. Her artistic practice, which encompasses performance, painting, drawing sculpture and video; observes the invisible distortions of perception triggered by memory, sentiment, and imagination. Her practice is aimed at inviting in dialogue, she often collaborates with musicians and filmmakers. She has multiple ongoing collaborative projects with other artists, including Band Practice. Claus has performed internationally at venues such as La Marbrerie in Paris, the Spring Break Art Show, The Chimney, BAM and Pioneer Works in New York, and as part of Edward Sharpe and the magnetic Zeros album release in Los Angeles, collaborating with a number of acclaimed musicians such as David Moore (Bing and Ruth) Bryce Dessner (The National), Sufjan Stevens, and David Cossin (Bang on a Can all stars). She has had solo exhibitions at Espronceda in Barcelona (Spain), the Basu Founda­tion in Kolkata (India), and in the Chateau Royal in Collioure (France). Claus has participated in a number of group exhibitions such as “ La main qui dessinait toute seule” at Magda Danysz Gallery in Paris and “Come together: surviving Sandy year 1” curated by Phong Bui in Brooklyn. Claus was awarded artist residencies at Espronceda, Pioneer Works, the Basu Foundation, and the Yale Norfolk Summer School for Arts. melissa godoy nieto was born in 1985 in Tijuana, Mexico, and lives and works in New York. Godoy Nieto studied Industrial Design at Pratt Institute. 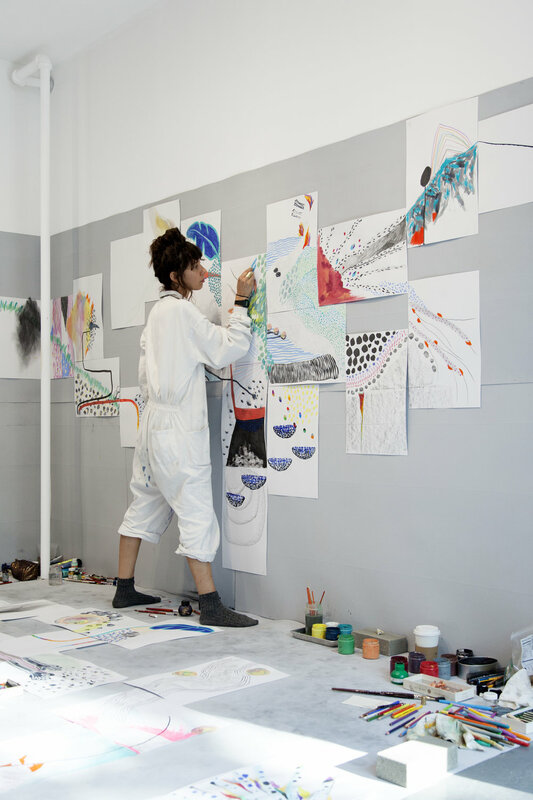 A multidisciplinary artists, drawing and painting has been her primary practices and dominant instruments used for exploring various formats such as performance, installation, sculpture, and video projections. Her recent work has developed a fascination of exploring how the mind works, learning about the unconscious, and the relationship between feelings, thoughts, interpretations, and reality. 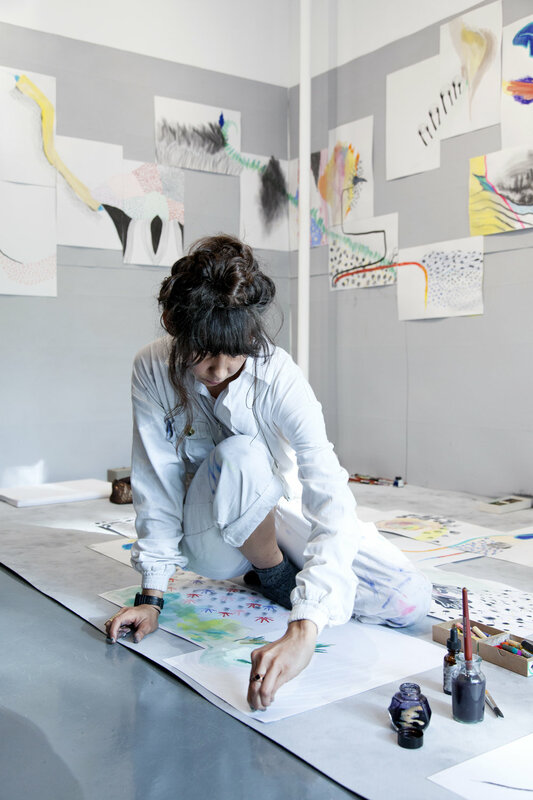 Her work has been exhibited and performed in galleries and art shows such as Spring/Break Art Show (NY), BRIC House (NY), Knockdown Center (NY), Flux Factory (NY), Platform Arts Center (Baltimore, MD), General Public Project Space and Pictoplasma (Berlin, Germany), The NARS Foundation (NY), and MARCO Museum of Contemporary Art (Monterrey, Mexico). Artist Residencies are an active part of Melissa’s development. 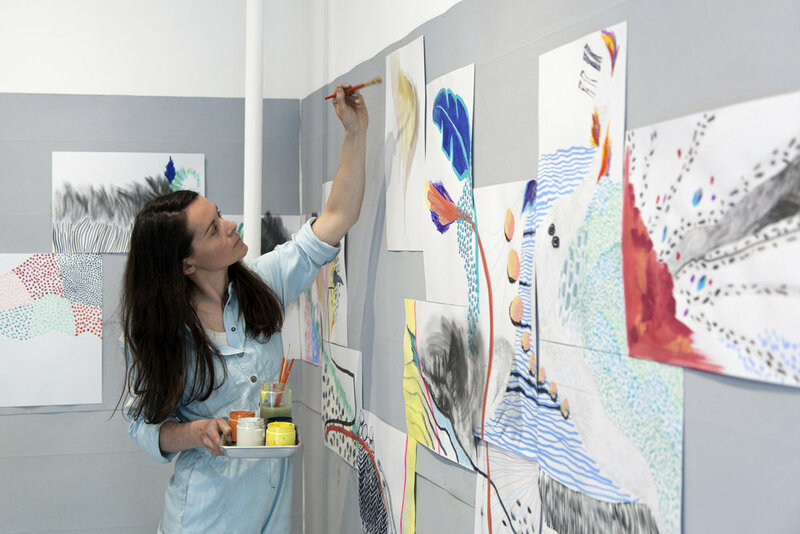 She has been the guest Artist-in-Residence at Fire Island National Park Artist Residency in New York, Espronceda Center for Art & Culture in Barcelona, Comuna Serigrafica in Ecuador, and Pictoplasma Residency in Berlin. She’s been selected for upcoming residencies in La Sierra Artist Residency, Colombia, Waaw Residency, Senegal, and Maderas Village, Nicaragua. amedeo pace is a musician, composer, and arranger. The Italian-born vocalist/guitarist is one third of New York City alternative rock band Blonde Redhead. Outside of his work with Blonde Redhead, Amedeo has been actively involved in composing and arranging scores. In Spring 2017, Amedeo took part in Cinema 16, a program pairing experimental films with an original score written and performed live. In 2016 Amedeo was invited to perform ‘In C’ with Terry Riley in Italy, and was the guest musician for Ludovico Einaudi in one of his ten nights in December 2017. He has performed solo shows in Palazzo delle Esposizioni in Rome, and in Teatro Dal Verme Milan.